Gjensidige is a leading Nordic insurance company, offering services in Norway, Denmark, Sweden and the Baltic countries. They also offer banking, pension and savings products in Norway. Their commitment to each individual customer has contributed to superior customer experiences and results since the company was started in Norway 200 years ago. After acquisitions in the Nordic and Baltic regions, Gjensidige was looking to create a unified international brand with a strong and unique identity. In order to stand out from their competitors and be more accessible to their customers, they were looking to simplify all communication and speak a language the customers would understand, in an insurance industry that is otherwise characterized by strict frameworks and mountains of information. These branding efforts aimed to break down norms and eliminate industry lingo in favor of a fresh and forward digital solution. Gjensidige needed to find a clear voice that was both positioning and differentiating. The visual profile, language and technology became the groundbreaking key elements of their new brand profile. 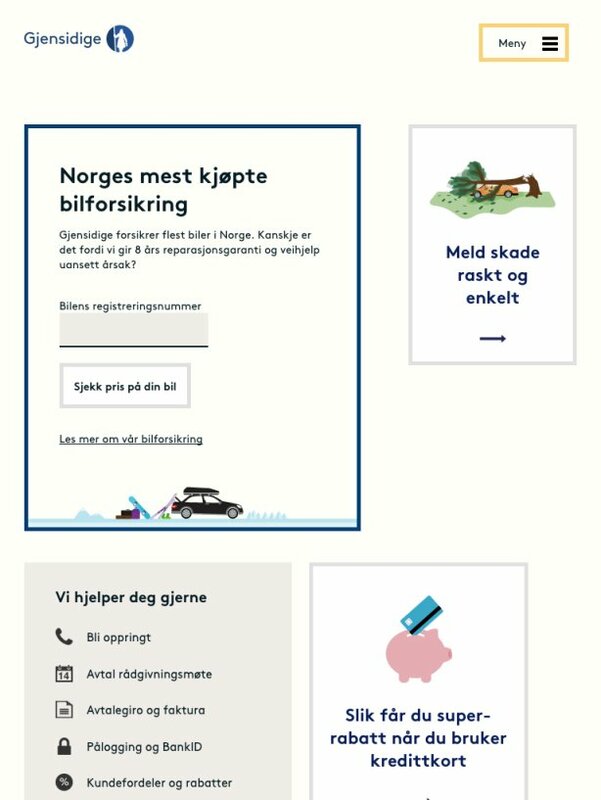 New public websites were going to be launched in Norway, Sweden and Denmark. There had to be a standardized and flexible platform that allowed different languages, different content and different products to be effectively adapted to the different markets. It was also important to concretize Gjensidige’s brand profile and establish a solid foundation for the digital future. In a time of technological upheaval, where cell phones had begun to take over and tablet traffic was predicted to explode, Gjensidige knew that their platform could not be designed for a specific screen size. Both the brand profile and the technical framework needed to be standardized, flexible and scalable. Gjensidige had to find a solution that was 100% user-oriented and would function optimally from a visual, cultural, editorial and technical point of view. 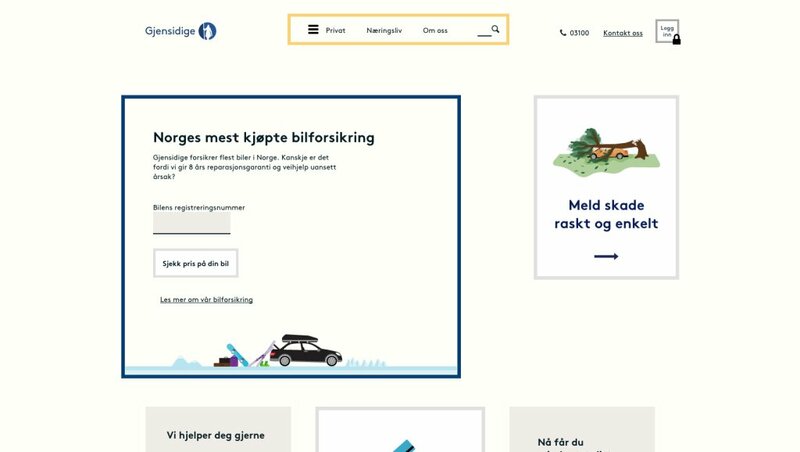 With Gjensidige’s clear and omnipresent brand profile, the solution was to remove all unnecessary elements and simplify both content and design. This intense desire to create something that was extremely flexible and scalable resulted in a brilliant idea: a unique platform of content modules built in Enonic. The content modules were ranked by importance, which is also reflected visually in that the size and design elements of the modules are both reduced and simplified the further down the page as prioritized. The placement and size of each module, as well as the appearance of each page, is determined in Enonic’s platform by each editor. By allowing the content to take precedence over the design, they boiled the digital concept down to three main templates and several different module types. The modules were developed in two different directions, one for quick tasks for customers who know what they need to do, and one for information and advice. The strength of this project lies in the good cooperation and the available professional competence both internally at Gjensidige, as well as from Enonic’s partner, BEKK Consulting. It was crucial for those involved with the development to have a high degree of knowledge of the Enonic platform, while Enonic also contributed its expertise to ensure the best possible implementation and utilization of it. The key is to have expert resources available to bounce ideas off of and come up with the best possible solution. Gjensidige’s brand building efforts have resulted in a unified profile and culture – one Gjensidige – which was launched in Norway on December 2, 2012. The Swedish and Danish websites followed in 2013. Enonic’s platform is used both for Gjensidige’s public websites in Norway, Sweden and Denmark and for internal solutions for account officers and the company intranet. This provides a unique opportunity for interaction and a comprehensive digital platform. Following the conclusion of the development work on this project, Gjensidige has continued to expand its Enonic expertise in house – both extensive business and editorial knowledge, ICT expertise and their own Fast Track team. Editors can edit and improve content directly in Enonic, while Fast Track teams focus on continuing the development of the website. 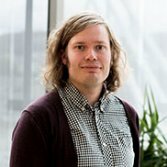 The Gjensidige Fast Track team consists of business resources and front-end developers who collaborate on tasks such as effective problem solving or the design of new templates. This team structure provides a unique flexibility as part of an incredibly effective and time saving process. As a supplier, Enonic has listened to Gjensidige’s input regarding the core features of the solution, which has proved to be a highly valuable collaboration – and a nice bonus for Gjensidige! Shortly after the launch, many of the reactions to this new brand building strategy focused on the fact that it was a bold and untraditional approach, while more recent surveys indicate that users now expect and favor this type of solution. Since the platform is mission critical for Gjensidige, they have a Platinum Support agreement with a 2-hour response time, 24 hours a day, 365 days a year.